Sam Hänni founded SwissMadeMarketing in 2010. After being a software developer in the corporate world for almost 10 years, he saw a great need in the online marketing world for tools and automation. 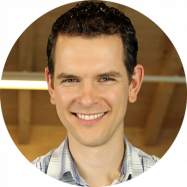 Having a technical background, Sam is the main creator of all the online tools and software in SwissMadeMarketing. He started with a niche site generating traffic through SEO. This is when he realized how tedious the process is and how many fatal errors there are that can rapidly kill an online business. That's why he decided to start the development of his own software, with the goal to help Internet Marketers overcome the obstacles he experienced. Today, SwissMadeMarketing is a million dollar business with clients in 4 languages with a complete toolset and training, providing Entrepreneurs, SEO Agencies and Internet Marketers with everything they need to build a profitable online business.